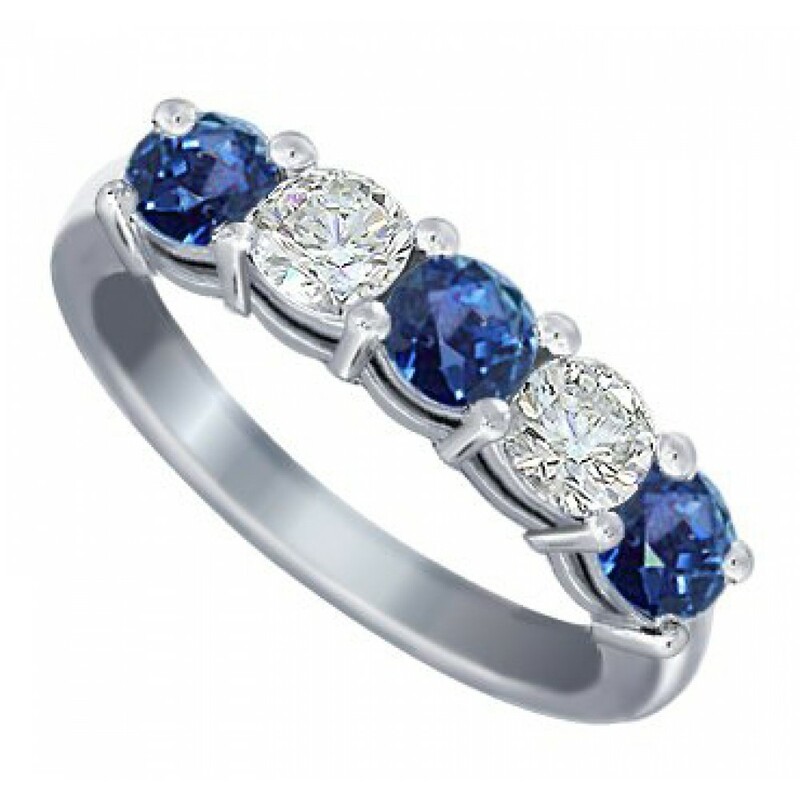 This gorgeous gemstone and diamond band features a channel setting. 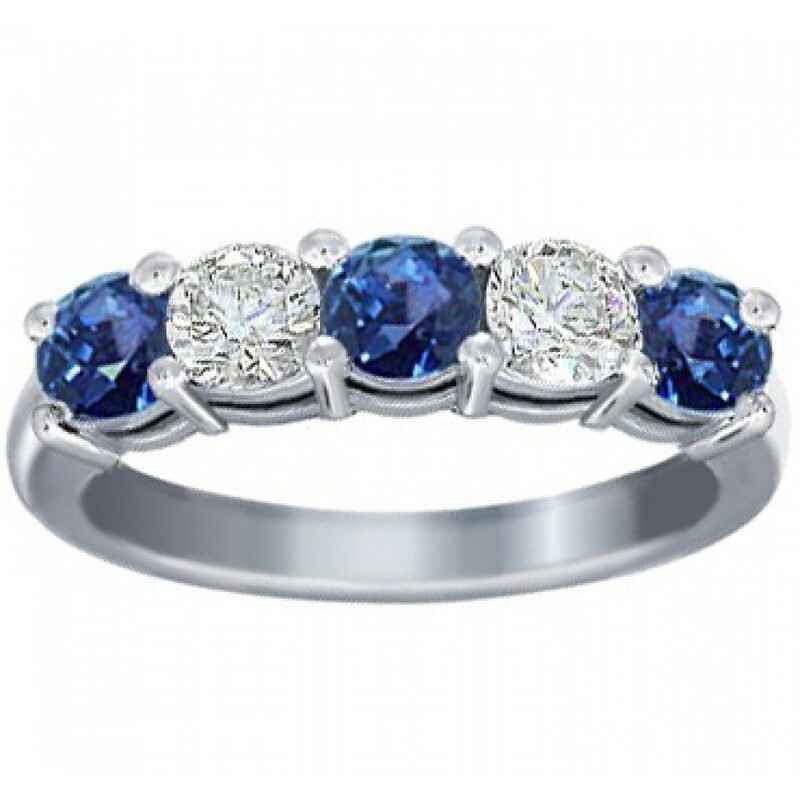 The gemstones alternate between the diamonds along the top portion of the ring. 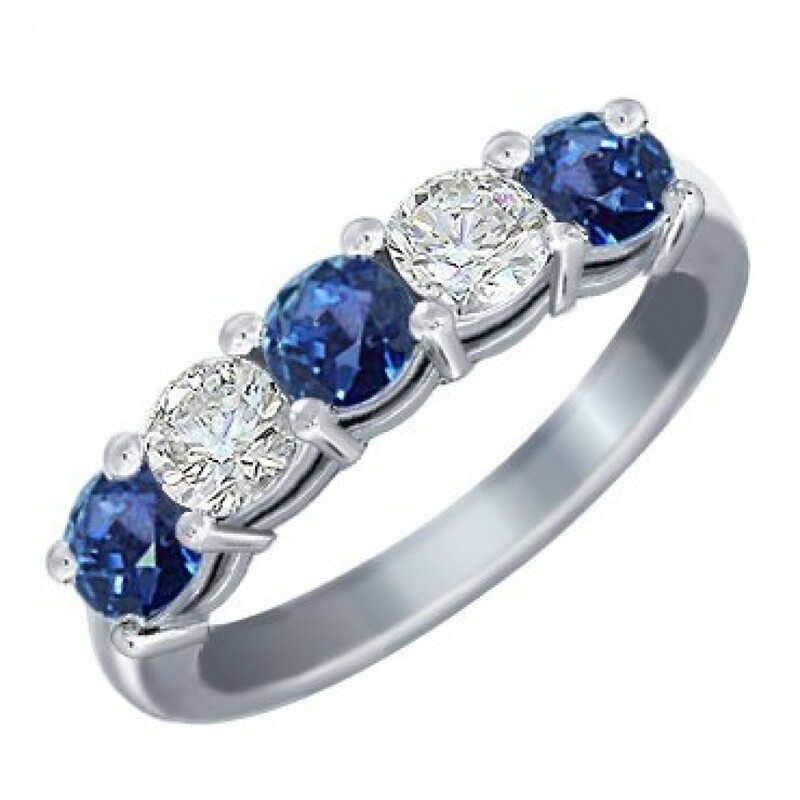 This gorgeous gemstone and diamond band features a channel setting. 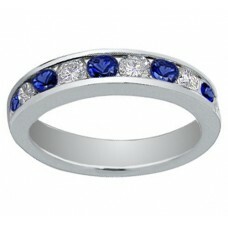 The gemstones alternate betwe.. 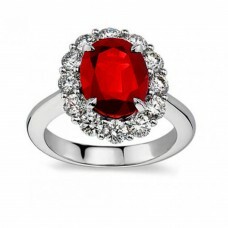 This is surely a delicate ring that will grace the finger with an air of royalty. A perfectly oval c..